The EdT Trick | Keikari.com The EdT Trick | On classic men's style, elegance and the beautiful life. New purchases have a tendency to smell. The odour is usually a combination of materials, factory, storage and store, not always leading to a favourable result. The smell will fade in time as the owner’s apartment and body odours take effect with the piece. Thorough airing will usually help, but then there are these tenacious buggers which positively reek. My trick is simple: a spray or two from the reader’s favourite EdT is often enough to cover factory smell. 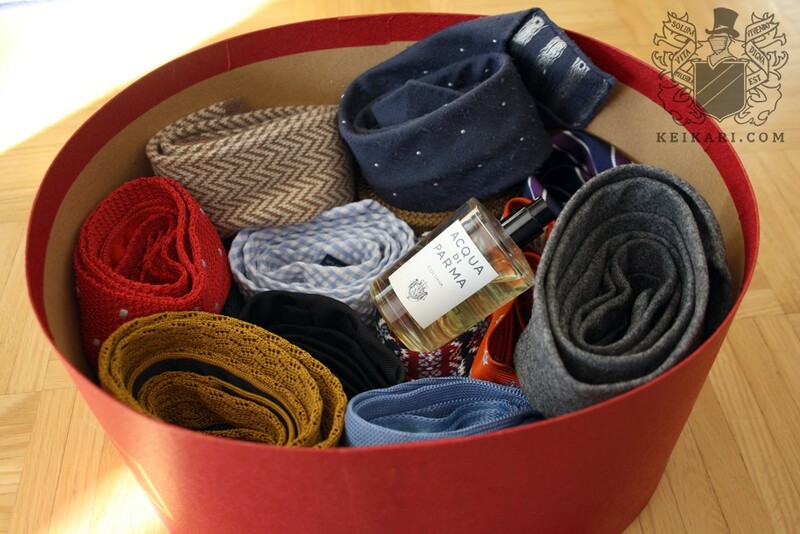 I treat all handkerchiefs, scarfs, ties, jackets, coats, suits and so on with this method. As with all things in life, moderation is key. To this day I haven’t managed to make any asthmatics faint.